There is a tendency amongst Reformed theologians to police other theologians, to dub themselves as detectives for Christ, seemingly exposing Christians who hold different views. They will often use pious language to justify this practice, arguing that they are “contending for the faith,” out of “pastoral concern for the body.” It is easy to recognize that this could be a veil for more nefarious motives, such as building traffic, finding an outlet for anger and condescension, or just boredom. Dr. William Lane Craig has been targeted on several occasions, perhaps because he is a prominent Molinist and Classical Apologist, and Reformed theologians want to discredit him. Among these discernment bloggers are companions such as JD Hall and Tony Arsenal. 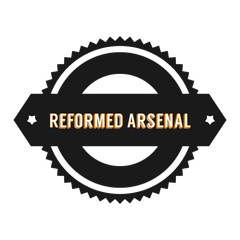 In this post, I will be assessing the firepower of the Reformed Arsenal (and pretty much excluding Hall as his posts about Craig are on a bit of a different topic). A discernment blogger is a theologian who looks to discern the often blurred line between heresy and orthodoxy and help the body of Christ to better understand the nuances and why they are significant. In his discernment blog, The Reformed Arsenal, Mr. Arsenal has constructed a series of posts about Dr. Craig. Though they are branded as discernment blogs, we have reason to be skeptical of the Arsenal/Hall duo. Before you can say, “I disagree,” you should be able to say, “I understand.” An effective discernment blog will need to make an honest effort to portray those that they are criticizing in a way that accurately reflects the views that they represent. This will mean properly documenting sources, using the defendant’s most scholarly work, and assembling data from all of their work. Ideally, the discernment blogger should attempt to refute his on hypothesis by rigorously checking himself against the available body of work. Unfortunately, based on my reading of the Reformed Arsenal, he does not seem to meet the standards of an effective discernment blog. His primary source on Dr. Craig’s work is Philosophical Foundations For A Christian Worldview, which may be good in its own right, but I do not know that it would be a scholarly work. In Philosophical Foundations, Craig establishes a few models that are helpful in resolving theological and philosophical tension about a range of issues. Yet this is what Arsenal calls his “primary source.” In Arsenal’s critiques, Craig’s scholarly writing in peer-reviewed journals simply goes untouched. In response to this point, Arsenal writes that he is restricting himself to popular level sources simply because he is not qualified to assess the intricacies of Craig’s philosophy. Craig, writes Arsenal, is a highly technical, academic philosophy, and Arsenal humbly admits that he is not qualified to engage in it. But with that being the case, restricting oneself to popular level content can raise issues. In popular level argumentation, scholars tend to leave out careful nuances. Laymen can be quite vulnerable to misunderstandings. This is especially true if one is attempting to criticize that popular level work. But Arsenal’s problematic handling of citations goes a little beyond that. When he initially started raising issues with Craig’s views, I became very suspicious that he had never read the relevant portions of Philosophical Foundations beyond mere quote-mining. This troubling hypothesis is evidenced even in his series of posts, in which never cites a page number (suggesting that he does not know the context). It is almost as if he glanced at the Table of Contents from Amazon and used that to form his citations. In fact, in his most recent post, he wrote that he does not even have access to the $25 textbook. Many Reformed theologians are not willing to go so far as to outrightly say that Craig is a heretic (not even James White has crossed that line as of this writing), but Arsenal pulls no punches. For Craig’s view of Christology, immutability, and several other issues, Arsenal indicts Craig with heresy. But this charge from this discernment blogger may be a little too hasty. A person is a heretic by confession. The reason that we would say that a Oneness Pentecostal is a heretic is that by confession, he denies the trinity. But think of the bland Arminian. Arsenal may think, as many Reformed theologians do, that Arminianism logically entails works-salvation. But that logical entailment does not lead us to think that Arminians are heretics. For them to be heretics, they would have to confess works-salvation. Similarly, as I pointed out in a previous post defending Craig, he confesses the full humanity and deity of Christ. Even if Arsenal thinks that his view logically entails that Christ is not fully man, that does not warrant the indictment of heresy. If that standard were applied universally, then pretty much everybody, including Arsenal himself, would be a heretic. In a recent Facebook post (I cannot share it because it was in a group, but I am sure that he would affirm that it was said), Arsenal charged Craig with denying the doctrine of immutability. I will discuss that more next, but let’s consider the implications as they are relevant to heresy and inconsistency. If God undergoes absolutely no change, and if Jesus if God, then Jesus did not “grow in wisdom and stature.” In fact, even more starting, there would never be an incarnation. Should I henceforth start saying that Arsenal denies the incarnation? If you think that this is a contradiction in terms, you might have a little bit of trouble thinking about concepts. Arsenal’s Facebook post in the group The Reformed Pub talked about how Craig denies God’s immutability, and therefore we should recognize that he does not believe in the God of the Bible. Interestingly, Arsenal’s Facebook post closely corresponded to his announcement that his new post on Craig would be available shortly. I hoped that it was about Craig’s view of immutability, but no such luck. We are left only with his Facebook post on the subject. Anyone who cares to understand what Craig means could browse through his Defenders classes, his blogposts, or even page 526 of Philosophical Foundations. Craig writes, “God’s immutability is also attested in Scripture.” Similarly, he wrote here that, “Even if in creating the world God undergoes no intrinsic change, He at least undergoes an extrinsic change.” When Craig speaks of intrinsic/extrinsic change, he means that God’s relations with creation changes, but not that he changes in and of himself. Again Arsenal’s obscure use of sources manifests itself, as it does several times throughout his work on Craig. If he had access to the work that he is criticizing, he could have turned to the Table of Contents, looked up immutability, and found the page. That is exactly what I did. But even without the actual textbook, he could have simply gone to Reasonable Faith and conducted a quick search. If you are going to be a discernment blogger, you have to do a better job of handling source material. Some philosophers (including Dr. Craig) have debated whether the Kalam Cosmological argument would work if it were placed within the confines of different philosophical constructions. If the B-Theory of time were true, would the KCA still prevail? This is a fairly interesting question, but not of our concern aside from helping you to think about this topic. Arsenal pointed out that in the case of trinitarian theology, the early church fathers built it on the foundation of platonic realism. As an anti-realist, Craig has extracted the trinity from that philosophical foundation and placed it in a new one. That question that will arise will be whether the trinity will obtain. If it will not obtain, then an interesting consequence will be that platonic realism is not just true, it is a necessary truth. If we assume that the trinity is a necessary truth, and the trinity is necessarily contingent on philosophical system X, then philosophical system X will also be a necessary truth. So in every possible world, realism will have to prevail. In contrast, Craig’s position might be a little more humble, that the trinity could prevail even in different philosophical systems. In his post on Craig’s anti-realism, he shared a lone quote from page 590 of Philosophical Foundations (Again, the was no page number, so I had to find it). Craig said that there were no other instances of divine nature aside from the doctrine of the trinity. Of course, what led him to make this assessment was his survey of some other models and conclusion that they would raise problems for the doctrine of the trinity. Ironically, Craig could have constructed these pages similar to Arsenal’s discernment series, warning people against Aquinas for his construction of the trinity. Arsenal’s series might be more fruitful if it were constructed like Chapter 29 of Philosophical Foundations, as an assessment of different models rather than a smear campaign. But where does Craig’s anti-realism take us? The answer, according to Arsenal, is frightening. Is The Son Merely Part of God? This is not the first time that I have encountered this sort of argumentation. In my posts on Oneness Pentecostalism, I noted one of the common arguments that they will raise. They will argue based on passages such as Colossians 2:9 that Christ is “fullness of deity,” meaning that there is only one thing who is deity, and it is Christ. Yet this seems mistaken, and that is what Craig pointed out in page 591 of Philosophical Foundations. Craig’s explanation has helped me to think about passages such as Colossians 2:9 in my interactions with Oneness Pentecostalism. Arsenal’s assessment, beginning with the grave warning that Craig’s experience with Christ is spurious, seems a little hasty and fails to understand the point that he is making. This formulation not only helps to avoid modalistic heresies, but has an intuitive appeal. If Jesus Christ is the “fullness of God” in the way that Arsenal is expressing, then it seems difficult to avoid modalism apart from tritheism. If the Father, the Son, and the Spirit are each “the fullness of God,” in the way that Arsenal seems to think, then it is quite mysterious why there would not be three gods. Remember how Arsenal accused Craig of heresy because of what his view entailed? Well, again, following that standard, I might accuse Arsenal of both tritheism and denying the incarnation. Something else worth pointing out is that Arsenal seems to think that Craig believes that the persons of the trinity have attributes that the others lack. This is quite mistaken. It is based on Craig’s statement that “Parts can possess properties that the whole does not, and the whole can have a property because some part has it.” Craig was not saying that some person of the trinity possesses omniscience while another does not. Rather, he was expounding upon part-whole relations. The focus should be on the latter half of the sentence. God is omniscient because the persons of the trinity are omniscient. That is the point that he was making. Arsenal’s assessment of Philosophical Foundations seems to be based, at least in this case, on a surface-level misreading of the text. The undergirding theme of Arsenal’s series is the implications of a philosophical construction. With that in mind, you would think that he would be a little more sympathetic to what Craig is saying. His entire discourse in Chapter 29 is about assessing models based on their philosophical system and attempting to resolve some of the troubling implications. Arsenal never really mentions that. Again, Craig is essentially doing the same thing that Arsenal is doing. The difference is that Craig is showing his work and attempting to interact with these difficult problems. One of them appears on page 583. If Peter, James, and John are three men, each sharing the same nature, then why would not the Father, the Son, and the Spirit similarly be three gods, sharing a divine nature? Arsenal made no attempt to provide a plausible alternative to the problem that Craig was answering. Yet when Craig is resolving these philosophical problems, he is far more charitable than Arsenal. If Craig were using the same standard, he would refer to Gregory of Nyssa as tritheist. Arsenal said in this post that Craig “falls into the ditch of unitarianism.” But why not just say that Gregory of Nyssa fell into the ditch of tritheism? Why not say that Arsenal is a tritheist? If Arsenal had univocal standards and judged both sides consistently, he might be a little more humble in his assessments. Something else interesting is that Arsenal seemed to think that Craig was attempting to resolve a problem for his own account. He suggested that recognizing the potential error of partialism, he “pushed back.” But that is not at all the context. In this section, on page 583, he surveying different models, particularly the one espoused by Gregory of Nyssa. The quote-mined statement from Dr. Craig was the beginning of an assessment of Gregory’s answer. He was not resolving a problem in his own account. Again, this is where the problem of obscure citations manifests. In his most recent post (as of this writing), Arsenal “turns the corner” from Craig’s trinitarianism to his Christology. In Philosophical Foundations, Craig constructed a model that he thought would avoid the errors of Nestorianism while preserving the core of the Christian faith. He thought that he could modify the ancient heresy of Apollinarianism so that the full humanity and deity of Christ persist. Yet, contrary to Arsenal’s assessment, Craig did have major criticisms of Apollinarianism and his modifications exceed anthropology. He basically shared the same criticisms as the theologians of old who condemned it as a heresy. On page 599, he reminded the reader that if Christ did not have a full, true human mind, then he could not redeem the human mind. Apollinarius’s view would lead to Christ assuming animality rather than humanity. Yet despite these problems, Apollinarianism does have some philosophical appeal in that it resolves certain theological quagmires surrounding the incarnation. One of them being: if Christ had two natures, one being divine and the other being human, then how can we avoid saying that there are two persons in Christ? This is known as Nestorianism. The difference between Craig and Arsenal is that Craig does the legwork to resolve these conundrums, whereas Arsenal reaffirms the original creed without addressing the problem, and then condemns Dr. Craig for attempting to solve it. Craig’s model does include two natures, but he thinks that there must be some unifying element between those natures. On pages 608-09, he writes, “The Logos already possessed in his preincarnate state all of the properties necessary for being a human self. In assuming a hominid body, he brought to it all that was necessary for a complete human nature.” Yet Arsenal seems to think that for there to be a complete human nature, the spirit of Christ could not be the Logos. It would have to be a human nature. Christ would have to have a finite mind to be truly human. But I do not see any reason to think that is true. This raises the distinction between what Dr. Thomas Morris called a common property and a universal property. Christ can be a necessary being even while all other humans are contingent. Christ can be infinite even when all other humans are finite. While finitude may be a common property, it is not a universal property. It is not a necessary property. Further, it seems that Arsenal seems to be advocating for what is known as Kenotic Christology, as far as I can tell. Kenotic Christology misapplies Philippians 2:5-8 to say that at the incarnation, Christ surrendered his divine attributes, such as necessity, omnipotence, omniscience, et cetera. Yet (a brief word of critique of kenoticism), this would seem to undermine the deity of Christ. 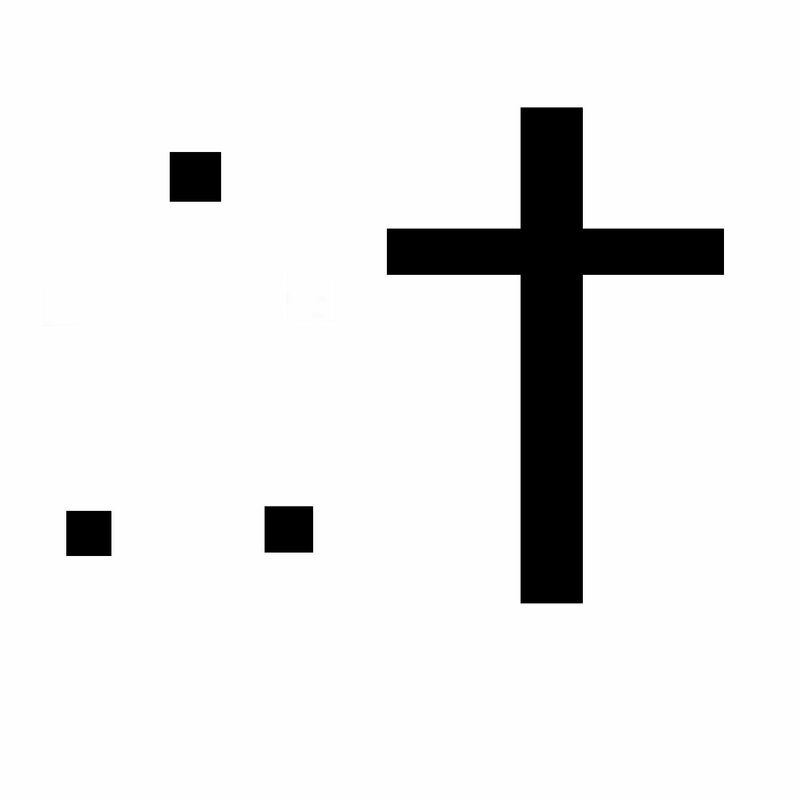 If God necessarily possesses omnipotence, and Christ did not possess omnipotence, it follows that Christ was not God. Second, kenoticism would also entail that there is a possible world of which we can conceive in which God is not omnipotent. Overall, Arsenal’s objection seems to be that Craig is betraying Kenotic Christology, which I do not find too troubling, as that in itself really borders on orthodoxy. I did not touch on JD Hall’s assessment of William Lane Craig because most of it is related to his view of inerrancy, which would betray the topic of this post (trinitarian theology). But when these cohorts, Hall and Arsenal, mount these critiques, it is important to ensure that they understand what they are reading. That is not meant as a slight against either of them. But Arsenal explicitly said in the beginning of his discernment blog series that he was not qualified to assess Craig’s scholarly material. If you are not qualified to assess his scholarly material, then that does not fill me with confidence about your ability to assess his popular level material. This becomes especially evident in that it is never really mentioned throughout Arsenal’s work that Craig is attempting to provide a model that will solve difficult problems that have arisen in church history. It is not as though he just adopts anti-realism because it sounds good and attempts to contort the trinity so that it fits within that framework. He is doing the legwork concomitant to being a trinitarian apologist. Arsenal is not. While it may be a discernment blog and not particularly focused on resolving theological issues, that is something that needs to be acknowledged. It would also be helpful for him to explain why Craig’s assessment was incorrect. Instead, what he does is to say something like, “This leads Dr. Craig, through a series of complicated mistakes that I will not recount here…” But you need to recount them here. He has reasons for the points that he made and they are usually to defend against Christological heresies. If you are going to interact with his model, you have to be able to provide a replacement and explain how you have resolved the problems that Craig is interacting with. That is non-negotiable. Does William Lane Craig Have An Orthodox Christology?